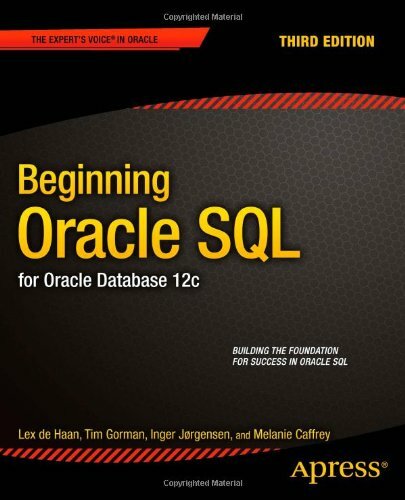 Authored by the late great Lex de Haan and published in December 2004, Tim is one of three contributing co-authors updating this wonderful and informative book for Oracle Database 12c. It was a genuine pleasure working on this third edition (ISBN: 1-43026-556-6) with such masters as Melanie Caffrey and Inger Jorgensen, and we were all cognizant of the solid and thorough work that Lex had achieved with his original volume. Our goal was to bring his work up-to-date with the latest version of Oracle Database while altering Lex’s clarity of voice and his warmth as little as possible. 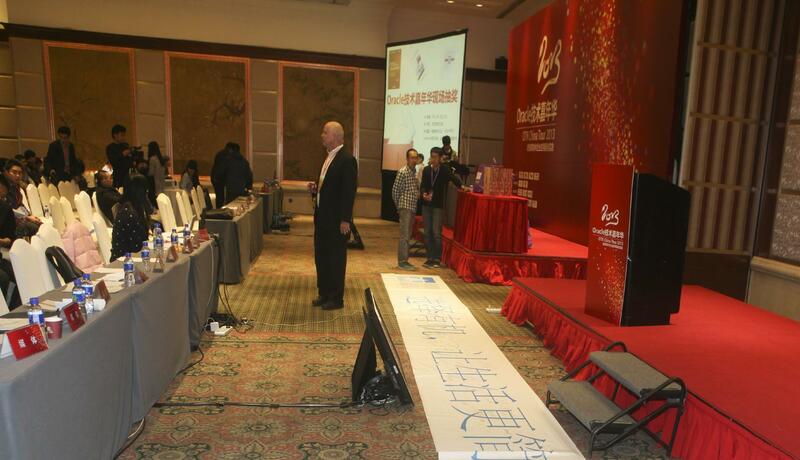 We are proud of the result, and hope you will enjoy it as well. This book is published by Apress and is available online at Amazon.com and Barnes and Noble. Tim is one of sixteen contributing co-authors, along with editor Mogens Nørgaard and co-authors Alex Gorbachev, Carol Dacko, Connie Green, Graham Wood, Charles Hooper, Randolf Geist, Melanie Caffrey, Niall Litchfield, Karen Morton, Joze Senegacnik, Jonathan Lewis, Riyaj Shamsudeen, Robyn Sands, Pete Finnigan, and Jeremiah Wilton. This second anthology (ISBN 1-43022-668-4) of wisdom from the bitter twisted old men and vibrant brilliant women of the Oak Table Network is published by Apress Books, available online at Amazon.com and Barnes and Noble. The Denmark-based drinking society with a database problem re-invades the civilized world, slashing and burning their expertise onto specific topics in administering Oracle databases, pillaging myths and legends, and desecrating conventional wisdom with insight and humor. Tim is one of four contributing co-authors, along with Karen Morton, Inger Jorgenson, and Daniel Fink, updating the original book “Mastering Oracle SQL and SQL*Plus” authored by the late great Lex de Haan and published in December 2004. Lex passed in February 2006 and is sorely missed by everyone with whom he came in contact. This second edition (ISBN 1-43027-197-3) was published in December 2009 and changes the title of the original while it updates Lex’s brilliant original work to include new developments in Oracle10g R2 and Oracle11g R1. It was a difficult task to update near perfection, and we were all cognizant of the huge shoes in which we were attempting to walk, but we are all proud of the result. Tim is one of eleven contributing co-authors, along with editor Mogens Nørgaard and co-authors Dave Ensor, Kyle Hailey, Anjo Kolk, Jonathan Lewis, Connor McDonald, Cary Millsap, James Morle, David Ruthven, and Gaja Krishna Vaidyanatha, who provide insights on their successful (and less-than-successful!) experiences in the world of database technology involving the Oracle RDBMS. This anthology (ISBN 1-59059-387-1), published by Apress Books in July 2004, is educational, entertaining, funny, and alarming. The members of the Oak Table Network dispense wisdom and humor reflecting forty-two thousand years of experience in Oracle database technology. It is available online at Amazon.com, Buy.com, and Barnes and Noble. Courtesy of Apress, Tim’s chapter in this book has been posted on Simple-Talk.com edited to improve general appeal by removing technical detail. Comments about the article can be found at TheDailyWTF – enjoy! Tim is co-author (with primary author Gary Dodge) of our second edition from John Wiley & Sons (ISBN 0-471-37678-7) published in September 2000. It includes practical tested tips, techniques, and guidelines for exploiting the many exciting data warehousing features of Oracle8i. It is (still!) available online at Amazon.Com and at John Wiley & Sons. The first edition of Gary’s and Tim’s book was published in March 1998 by John Wiley & Sons (ISBN 0-471-19952-4). It is (still!) available on-line at Amazon.Com and at John Wiley & Sons.